Looking for the best handbag organiser for you? Anyone with more than one handbag will know the pain of switching from one handbag to another, or having a favourite handbag that simply has too few pockets inside. This is where a handbag organiser can help you. There are so many varieties now that it can be difficult to choose which one you prefer, so we have selected a few of our favourites to help narrow your selection. A handbag organiser can be used as a bag swap bag. 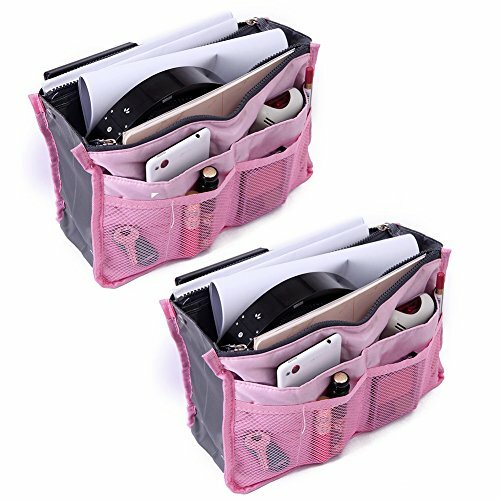 You store all your essentials inside the organiser, and then when it is time to move to a different handbag, you simply lift the organiser out of the first bag and pop it into your new one. 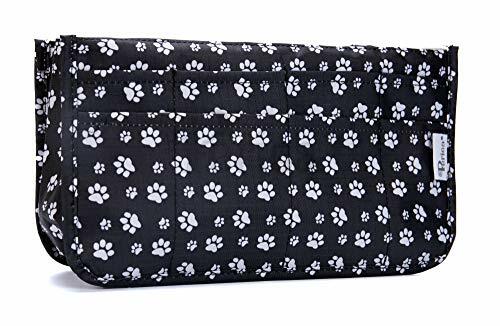 Many people who use a handbag liner for this prefer one without a top zip, so that they can easily open their handbag and reach inside without having to undo a second zip or fastening. 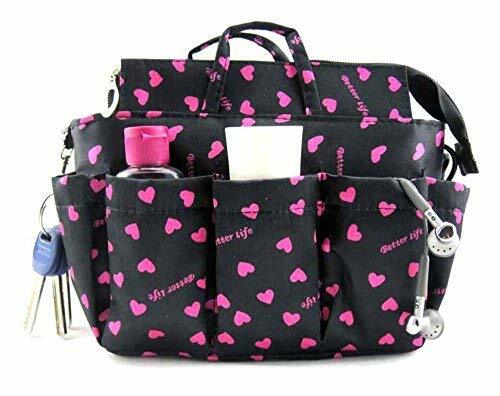 With pockets around the outside edge, and a large main compartment, you can keep your keys, purse, phone, charger, medication, make-up and personal items all together and with you no matter which bag you are using. Several of the bag liners we have chosen have a small grab handle on the top, so you can grab and go. Swapping handbags just became stress free! An added bonus is that no matter which bag you are using, everything that is important to you is always in the same layout, so you don’t have to fumble around trying to remember which pocket you stored your keys in. Available in Mutiple Colors: Blue, Winy Red, Pink, Black, Purple, Grey, Orange. Portable Handles: Special designed with dual handles to enable you transfer items from one bag to another one in a second. It is the point that everyone will love it. Dimensions: Small:28*13.5*13.5(cm); Medium:30*16*16.5(cm); Large:36*19*16(cm). 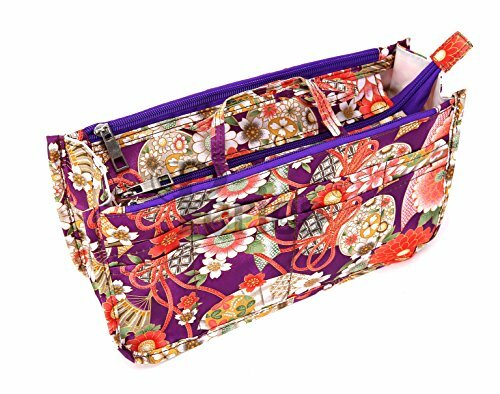 With three different sizes,FOREGOER handbag organizers will tidy your handbag/tote bag/shoulder bag/bucket bag in a good way. 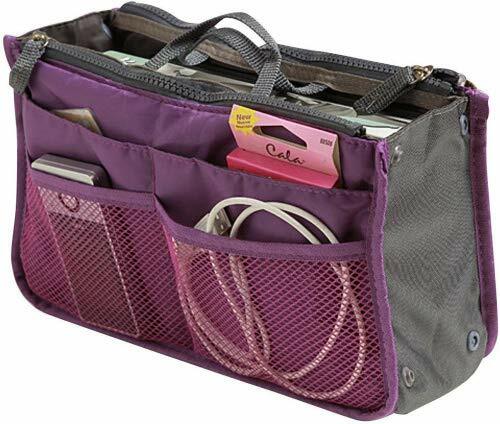 No odor fabric makes the lightweight and well-performanced handbag organizer. 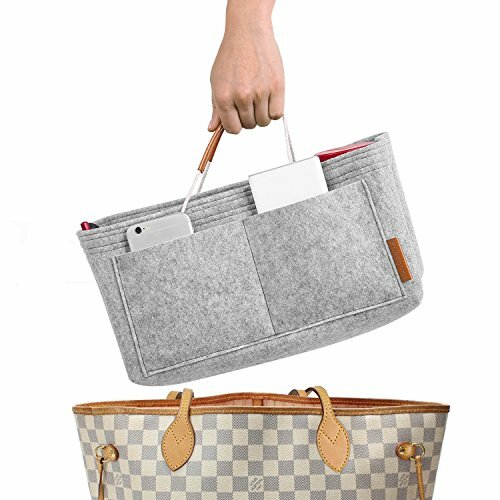 Designed with 3mm thick exterior and 2mm thin interior, the bag in bag organizer will protect your essentials safe with a bigger capacity. Multiple Pockets: Medium and large size:11 pockets, 8 interior pockets and 3 exterior pockets,Small size:10 pockets, 7 interior pockets and 3 exterior pockets,easy for you to find what you want in the bag and keep your handbag shipshape. 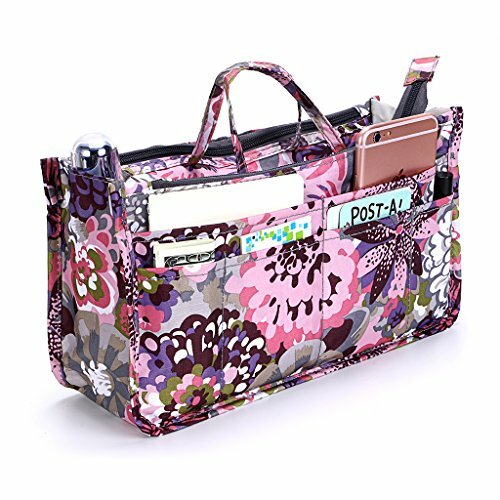 General Applicability: Used as a purse organizer, handbag organizer, diaper bag organizer or desk organizer. Built-in handles. Portable and compact, is easily held in handbag. Materials:Brand new and high quality polyester & cotton. Dimension:11*6.5*3.5 inch. Perfect for holding cosmetics, cell phone, cards, books, travel goods etc. Sometimes you fall in love with the look, size, colour, and feel, of a handbag, but the internal layout isn’t quite right for carrying your daily essentials in an organised way. This is where a handbag organiser can help. Add one or maybe more to the inside of your bag, put your belongings inside each one, and hey presto, your bag is now organised and you will be a lot less frustrated when standing in front of a till or locked door. You can use more than one bag organiser to section your things. Maybe you need to carry medication, or items for a baby, or young child. You can use one organiser for just that purpose and know you can easily put your hands onto it, and another for your own belongings. If you put a quick nappy changing kit inside one, it’s easy to grab that out of your bag to change your baby, or hand to someone else who is willing to take on that job. Many handbag organisers have a zip across the top of the main compartment. This can help protect your valuables as it adds another layer of security on top of the main closure of your bag. Using a handbag liner means it may help protect the lining of your handbag, especially if you finally own that favourite designer bag you have had your eye on for so long. If you accidentally leave the lid off your lipstick, or the lids falls off your pen, or that forgotten bar of chocolate begins to melt, it is the handbag organiser that takes the damage. 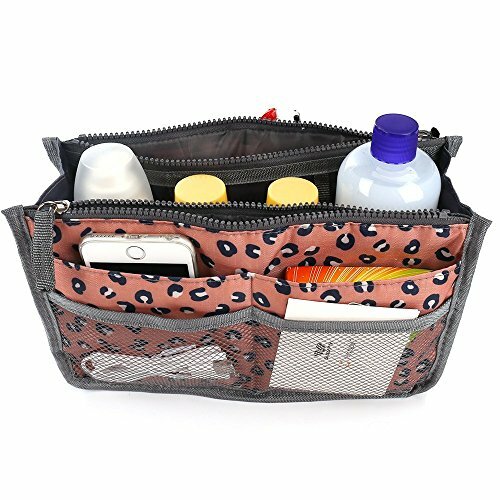 Many designs of handbag organiser are washable, so you can easily empty it to wash and start afresh. A study revealed that a handbag can carry a scary amount of bacteria, so to have a washable, removable lining can really help to reduce this. Handbag designers seem to like using dark fabrics inside their bags. Whilst this makes the bag seem more streamlined, it can make it incredibly difficult to find things inside the black hole a dark lining creates. Why not choose a bright and vibrant handbag liner to place inside? Then you can easily find everything, and make a style statement too. Are you a planner addict? 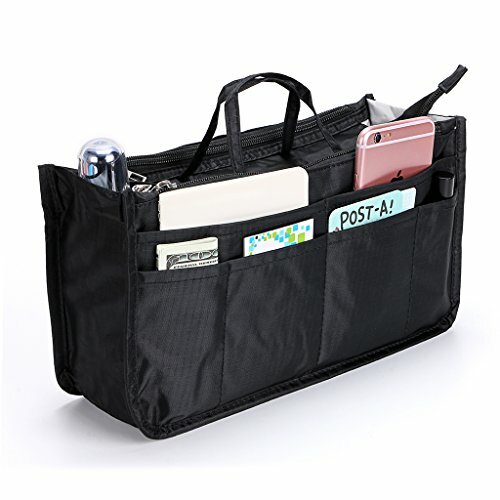 These bag organisers also make fantastic stationery organisers. 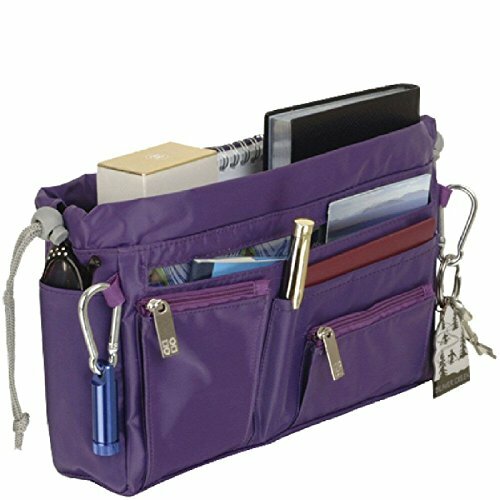 There is plenty of room to fit your planner, notebook, or bullet journal in the large main compartment. The outer pockets will easily hold pens, pencils, sticker sheets, clips, and of course, the all important washi tape. Use one at home, or add one to your bag so you can plan on the move. Size – what size do you need to fit inside your bag? Colour – bright, patterned, plain? Closure – open at the top, or zip to close? Washable – do you want to be able to wash your liner? Fabric – do you prefer nylon, polyester, cotton, or even soft felt?